Columbus, Ohio, December 12, 2018 – When it comes to advertising, 76 percent of primary care physicians (PCPs) prefer companies use simple language according to a survey conducted by GSW, a Syneos HealthTM company and industry leader in healthcare advertising, in partnership with The Harris Poll. The online Harris Poll survey among U.S. PCPs uncovered behaviors toward and attitudes around all advertising and creativity. The goal was to gain a deeper understanding of today’s physicians, what motivates them, their perceptions toward communications trends and their preferences. When it comes to advertising, PCPs enjoy being entertained. Approximately six in 10 PCPs say they enjoy being entertained by advertising (61%), and over half say they are influenced by creative advertising (56%). Thinking about ads they have liked in the past, many liked the ads being funny (62%), creative (51%), or unique (49%). The survey also found that PCPs don’t all share one homogenous personality but rather offer a blend of diverse (and sometimes competing) character traits. PCPs appreciate collaboration in theory, as well as an openness to new and different ideas, with the majority saying it is important for them to be open to others’ opinions (87%) or collaborate with others (74%). At the same time, the majority of PCPs say it is important to them to be a leader (59%). Most say they make decisions easily (77%) and are often not swayed by the opinions of others (66%). The majority of PCPs believe they personally behave more analytically than emotionally. More than 3 in 4 say they typically make decisions with their head, not their heart (83%); they consider themselves more analytical than emotional (80%); and they prefer practical ideas over imaginative ideas (74%). Nonetheless, 2 in 3 PCPs (66%) say they openly express their emotions. 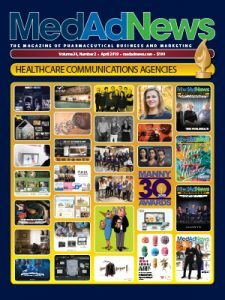 Current draft FDA guidelines for consumer print advertising recognize the importance of both simplicity and creativity to create better understanding of health benefits and risks for patients. You can view more results and insights to PCPs behaviors and survey results here. The survey was conducted online in the U.S. by The Harris Poll on behalf of GSW between March 21st and March 31st, 2017. The research was conducted among 302 Primary Care Physicians in the U.S. Figures for years in practice, gender, and region were weighted where necessary to bring them into line with their actual proportions in the population. GSW is a full-service healthcare communications agency that goes beyond advertising to create personalized brand experiences that involve, inspire, educate, and activate people through ongoing brand journeys. Building partnerships with pharmaceutical, biotech, and health-and-wellness clients in 18 major markets around the world, GSW creates marketing solutions through a comprehensive and wide array of services. Integration with public relations and medical communications agencies at Syneos Health drives complete communications solutions that build corporate and brand value, and deliver on the bottom line. The Harris Poll is one of the longest-running surveys in the U.S. tracking public opinion, motivations and social sentiment since 1963 that is now part of Harris Insights &amp; Analytics, a global consulting and market research firm that strives to reveal the authentic values of modern society to inspire leaders to create a better tomorrow. We work with clients in three primary areas; building twenty-first- century corporate reputation, crafting brand strategy and performance tracking, and earning organic media through public relations research. Our mission is to provide insights and advisory to help leaders make the best decisions possible. To learn more, please visit www.harrisinsights.com.